Chakras are the body’s energy centers. They are the openings for life energy to flow into and out of our aura. Their function is to vitalize the physical body and to bring about the development of our self-consciousness. There are 7 energy centers associated with our physical, mental and emotional interactions. Each chakra is associated with specific life issues related to our soul journey. These energies, when in a state of harmony with each other, vibrate with the same frequencies as the colors that are effectively the “human rainbow” within. 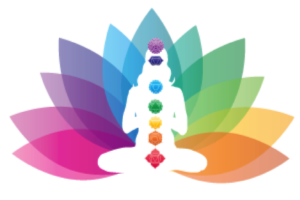 When our physical, emotional, mental or spiritual bodies are out of vibrational harmony, chakra balancing can correct vibrational patterns and restore overall well being. Color, Sound and Spiritual Healing are used to bring the chakra into alignment. The willingness of the client to surrender to the Divine, to ask Spirit for assistance, and to willingly release and receive, is paramount to allowing Spirit to work. This treatment consists of 90 minutes of discussion and healing. * a PayPal account is not necessary for payment.